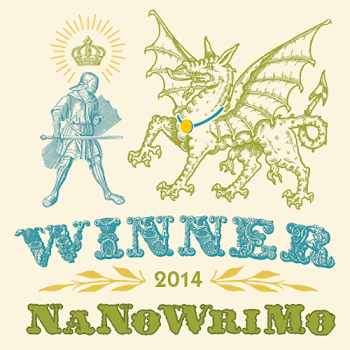 As I wrap up revisions to my first novel, I'm planning to participate in my first NaNoWriMo this November. I’d like some help deciding which novel idea to work on next. Please vote for your favorites. I’m happy to answer questions (e.g., by Facebook, twitter, email, etc.) about the projects if you’d like to know more. Which novel would you be most interested in reading? Note: Secret Service/LA will consist of a series of cases which the detective will work. I have already drafted a 14K word novelette where society's demand for reality/voyeuristic entertainment (YouTube, etc.) and the perils of fame have decimated the US population and forced the government to become the biggest advocate of privacy. That will serve as the first case. The second case is titled "(CS)I Robot," about the moral and legal problems, and general shenanigans, that arise when crime bots start editing their own code. The third and final case is the one that ties all the stories together and is described in the poll.